Yes! If you plan to have an open bar set-up, meaning alcohol will be free of charge to your guests, we require that you contract Texas Ritas, an independently contracted TABC bartending firm, to serve the alcohol. All alcohol at open-bar events must be served by the Texas Ritas bartender. BYOB is not permitted at Two Wishes Ranch. The Bar closes 1 hour before the music has ended. Are there food and drink minimums and, if so, what are they? You will be providing all food and drink so check with your caterer on their requirements. Will the venue be convenient for guests in regard to travel and accessibility? Yes. Two Wishes Ranch is an easy 35 minute drive from downtown Austin, 30 minutes from San Marcos and an hour from San Antonio. Will the space comfortably fit your estimated number of guests? The event barn interior can accommodate 250 seated guests comfortably. The adjoining porch accommodates 80 seated. The Ceremony Garden seats up to 250 guests. The Big Wish Barn dimensions are available at All Seated to design your perfect seating plan. We have 3 bathrooms and 1 shower. Within 2019 we will have 6 bathrooms. Are there separate spaces for all the different types of activities I may want to include? Two Wishes Ranch is a 300 acre property. We are open to ideas using almost any part of the ranch to create your perfect event. We love to make room for creativity! You may choose the large ceremony garden as your wedding site or use it for your reception, rehearsal dinner, cocktail party, reunion dinner under the stars, etc. There are also several beautiful ponds to choose as ceremony sites. The interior of the barn may be used for any type of event as well, cocktails, dining, dancing, registration, meeting spaces, trade show space for corporate events. The options are endless. There is a $575.00 security deposit, returnable to clients up to two weeks after the event has been held once property has been inspected for any potential damage from the event or wedding. 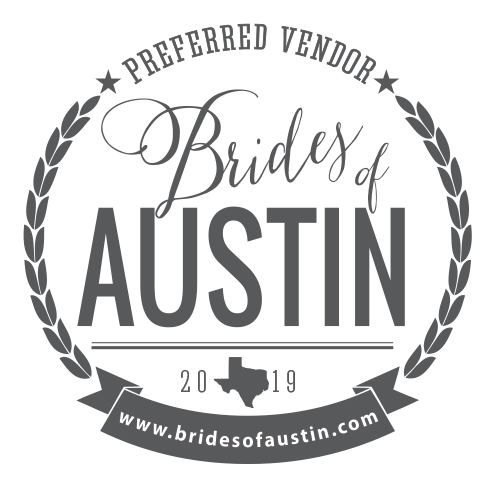 We ask that you use our preferred vendors for catering, bartenders, rentals, and lighting. However, if there is a restaurant not on our list, we are open to exploring your choice. We want to make sure you use an outstanding and reputable caterer because a bad meal or poor table service can really dampen your guests spirits! Caterers, florists, photographers, and wedding planners need to provide a certificate of insurance. Does the venue allow for event signage or displays? Yes. We will need to know what you’d like to hang or post but will likely be able to accommodate you. Are there any special restrictions on what I can use to decorate the spaces? We only allow flameless candles to be used in the barn interior and exterior. No: Glitter, confetti, sand, rice or silk petals. Yes: Birdseed, bubbles, and lavender seeds – welcome outside only. No decorations may be hung from the fans or chandeliers. Please be respectful of the space and only use removable white putty such as Duck Brand Removable Mounting Poster Putty on our walls instead of nails, screws, or staples. Are there hidden costs like a service charge, gratuity, cleaning fees, or overtime charges? We have no hidden fees or charges. Is there the ability to shield the event from public view? The Big Wish Barn and surrounding spaces are completely private and will be used exclusively by you and your guests. We have 2 polo seasons during the spring and fall and you may choose to request that no polo be played on the fields the day of your event. For an additional fee you also have the option to schedule a private game for the enjoyment of your guests! Is there ample parking for your guests? Yes. We can accommodate as many cars or shuttles as necessary. Are there rules about guest attire? This is a real ranch out in the country. There are cracks between the barn’s porch wood that a stiletto heel could possibly get stuck between causing someone to trip. It would be wise to suggest that your guests wear thicker heels or boots instead of stilettos. How many hours do you offer for set-up and breakdown? You will have 11 hours to host your event beginning at 1 pm and ending at midnight unless otherwise arranged with Lauren Reeves. All set up and break down must happen within these hours and are not to begin prior to 1 pm or end after 12 am unless you arrange to have the break down time extended to 1:00 am for a fee of $100. This means all décor installations including special lighting, etc. must be fully removed by midnight. If you’d like access to the barn earlier than your contracted arrival time you can do so for $350 per additional hour. When do we have rehearsal? We will find an hour to fit in your rehearsal that Friday before your event if that’s the day you prefer. We can’t promise a rehearsal in the ceremony space if it is booked for that Friday, but we can certainly find a great spot to rehearse on the property. Everyone’s having so much fun! Can we stay longer? If you would like to extend the time guests attend your event, you may add extra hours for a fee of $750 an hour. Otherwise, all guests must depart by 11:00 pm. What staffing is included in the venue rental? There will be one on-site manager included during your event. Do you provide A/V equipment, technicians and support? Your on-site manager will assist with all AV needs. We have one AV system that can be set up outside or inside the venue. If you use a band, they should bring all equipment needed. We have plenty of amps. Can the venue accommodate a DJ or live band? Yes. We have 2 stages. Indoor Stage is 11 x 18 with the dance floor size you designate inside the Big Wish Barn. Outdoor Stage is 15 X 24 with a 24 x 24 dance floor. Yes. We have wifi in the event barn. What additional insurance does your venue require for private events? You will need to get one day event insurance. You may arrange and hire a shuttle service but the driver must visit the ranch prior to your event in order to clearly understand where he should drop and pick up guests. Are there restrictions for the photographer, flash usage, etc.? There are no flash restrictions. Your photographer may take photos anywhere on the venue property. If he or she would like to take photos of surrounding areas outside of the designated event area, please have them speak to Lauren Reeves about the possibilities at least a week prior to your event. Is there somewhere secure to store wedding gifts? Yes. The on site manager will assist you in storing gifts in a locked storage space behind the event barn. Do you have a microphone for speeches? Are linens, plates, silverware, and glassware provided? We send everyone to Whim Hospitality or Premier Events. Are kitchen facilities available to my caterer? The kitchen is 475 sq ft and is a full service kitchen: Refrigerator, freezer, ice machine, microwave, prep tables, dish sink, and hand washing sink are available with the rental. The stove and oven are available for $550 per event. Can I bring in a cake from an outside baker? Are we required to have a wedding planner? Lauren Reeves will be your venue coordinator. But a venue coordinator and wedding planner are very different. To make sure you have the very best event possible, we require that you work with a wedding planner. The venue coordinator takes care of everything dealing with the venue. Lauren will make sure your tables and chairs are set up according to your plans and she’ll make sure the vendors are able to have access to the venue. A wedding planner, however, is responsible for coordinating all other things that come with the venue. They will make sure that once the vendors arrive, they know where they’re supposed to be and when. Your wedding planner must have liability insurance. How much assistance can I get with the set up/decor? We will set up tables and chairs according to the layout you’ll provide us at least 10 days in advance of your event. Your wedding planner will help you choose all of your decor and map out a great plan for the design of the space. Is any set up/tear down service available? We will set up the tables and chairs as you request. You are responsible for decorating and then removing decorations. Your caterer and bartenders will clean the venue spaces: bus tables, remove trash and tidy spills. In the dressing quarters for the bride and groom, you or your wedding planner will remove all personal belongings and trash. Do you have signage to direct guests to the wedding? Do you have any partnerships with nearby hotels? Our favorite place to stay in Lockhart is the Ellison House. Another local Airbnb we love is the Gambrell House. We’ll also provide a list of our favorite hotels in nearby Austin, Kyle and San Marcos, all within 20-40 minutes’ drive. How far in advance should we reserve our date? Couples usually reserve the venue 12-18 months in advance. The event barn at Two Wishes Ranch is booked according to availability, so if the event barn is available, it’s all yours! In order to reserve your chosen date, we require a deposit and signed contract. What do you provide at the ceremony site? We provide benches to seat 200, chairs to seat up to 250, and a sound system. We’re in Texas! Our event barn and restrooms are fully heated and air conditioned. Dogs are allowed for use in your ceremony. They must be crated after the ceremony and we suggest you do so on the bridal cottage screened porch so they are not anxious with the noise and activity of the wedding. May we take engagement or bridal pictures at Two Wishes Ranch? Skylar offers 10% off for Two Wishes wedding couples but you are also welcome to choose any photographer you like. Included in your rental is a one hour engagement shoot. Are fireworks or sparklers allowed? Sparklers are allowed in designated areas. Fireworks are not permitted due to safety risks and burn bans.